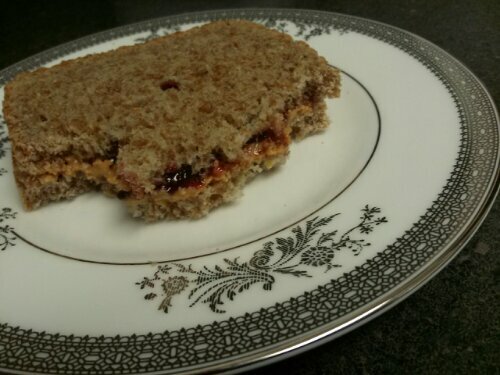 Since I’m covering my favorites in MoFo this year, I might as well tell you about my newest and easiest favorite, Peanut Butter, Fig Butter & Jelly sandwiches. (Really preserves, but that doesn’t have the same ring to it.) It may sound silly, but these have really become a staple in my diet lately. I’ve been eating them for breakfast, snacks, lunch, and I think once as a light dinner. 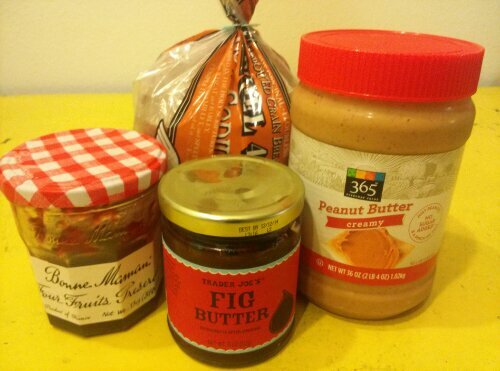 I bought the fig butter on a whim at Trader Joes, not really sure what I was going to do with it. 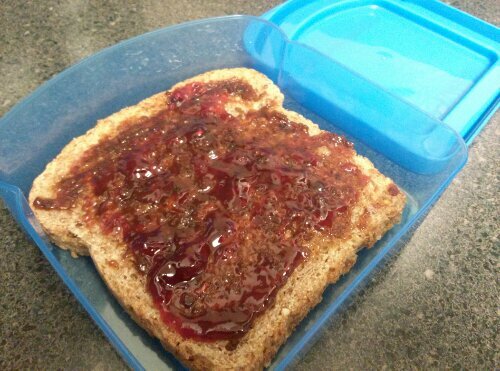 After trying it on PB&J, it has now become routine for me to make one once a day. One layer of fig butter and a thin layer of jelly for a little extra sweetness. At first I was taking them in aluminum foil, but once it became a habit, I switched to these less wasteful sandwich keepers. I bought them for Thomas for Christmas, but since he didn’t seem to be using them often, I’ve claimed one for myself. Yes, I eat everything on china. Life is short. This week was busy and a little light on the MoFo posts, but more are already in the works! I’ll have to get myself back on track this weekend. Awesome! I didn’t even know about the TJs fig butter! I will definitely look for it next time I go there. I love love love figgy stuff, and I also love PB&js! I did not know the distinguishing quality between jams and fruit butter. That makes sense. I love fruit butters and this fig one sounds and looks great. 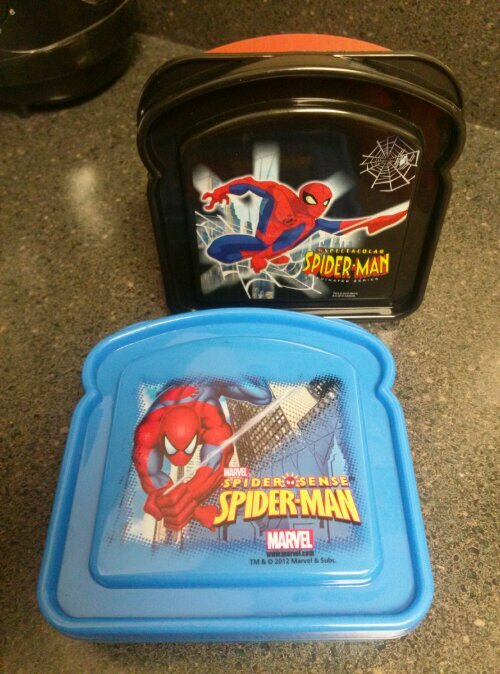 The Spiderman sandwich keepers are great! 1. Isn’t fig butter great? I love everything fig! 2. Yes, yes. Eat on China! 3. All-time best food ever–P,B, and J.!